Then there were the things I did alone. Like biking everywhere with pick-up-and-drop-off rental bikes. And repeatedly get lost, despite Google maps' best efforts. Like jogging around the Alster. Fresh in the early morning. 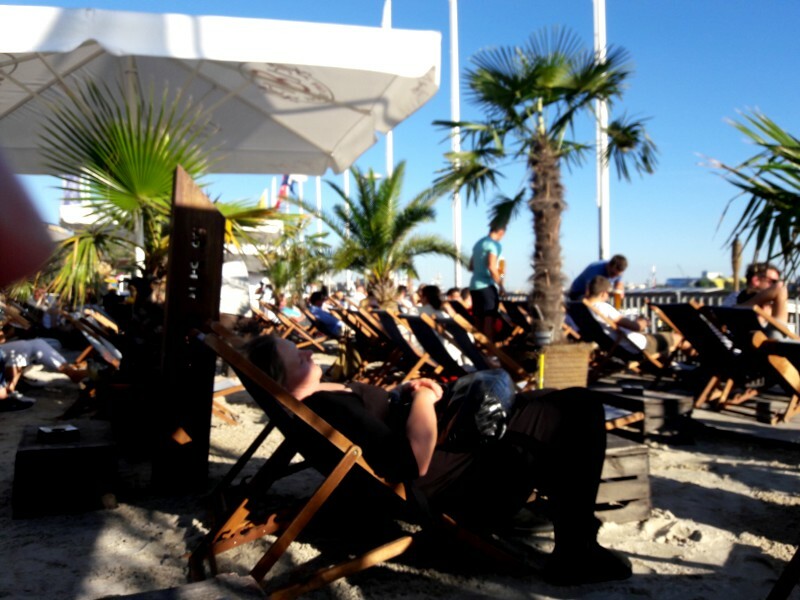 Like putting my feet up at Hamburg del Mar, a beach bar overlooking the Elbe river; sipping a beer and enjoying the warm late afternoon (pictured right).